Home Unlock Alcatel How to unlock Alcatel W600? How to unlock Alcatel W600? Unlock code / NCK of Alcatel One Touch W600 3G USB modem is available. Our team can provide the correct NCK of W600 dongle. Means if your device is asking for code then it can be unlocked with SIMlock code easily. Unlocking of Alcatel W600 is one-time work and after unlock you can use all network providers SIM card. 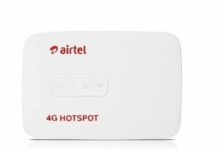 Means you can use default SIM card as well as other network provider SIM cards. 1. Change the default SIM with any another network provider. 3. A virtual CD-ROM of W600 will be mounted under My Computer. 4. Open and install in PC. 5. Now run the Alcatel W600 software. 6. It should ask 10-digit NCK / SIMLock / unlock code. 7. Enter the code which is provided by routerunlock.com. 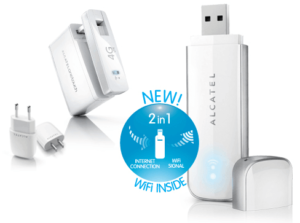 Once the device accepts the code, your Alcatel W600 will be unlocked forever. Now create a new profile according to the new SIM card and connect to the internet. Previous articleHow to unlock LG Watch Urbane LTE? Next articleHow to Unlock Alcatel W800B?